PepsiCo Inc. makes pre-orders of 100 Tesla Semi trucks. 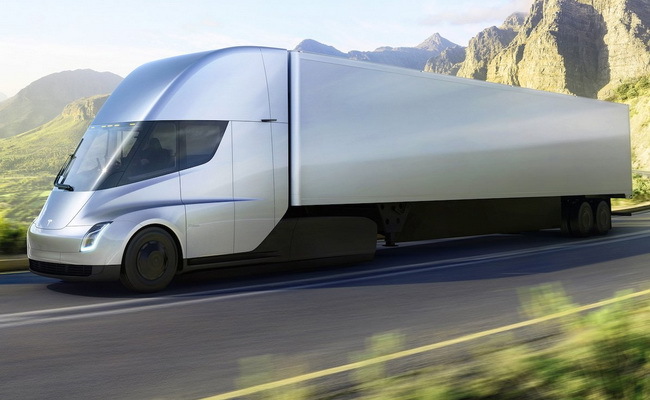 An American multinational food, snack, and beverage corporation headquartered in Purchase, New York, has ordered Tesla Inc.'s largest electric truck today in an effort to reduce fuel costs and carbon emissions. Tesla has convinced people about the technology and content to compete diesel trucks at relatively low cost. 100 Tesla Semi truck PepsiCo orders add orders of more than 267 trucks in a dozen combined companies such as Wal-Mart Stores Inc, J.B. Hunt Transport Services Inc., and Sysco Corp.
PepsiCo intends to apply Tesla Semi for snack and beverage shipments between manufacturing facilities, distribution and direct to retailers within the 500 mile (800 km) range promised by Tesla CEO Elon Musk. The semi-trucks will complement the PepsiCo fleet in the US consisting of nearly 10,000 large trucks and an important part of the plan to reduce greenhouse gas emissions across the supply chain by a total of at least 20 percent by 2030.